Meet Harvey, a kitten who lives in Scotland. 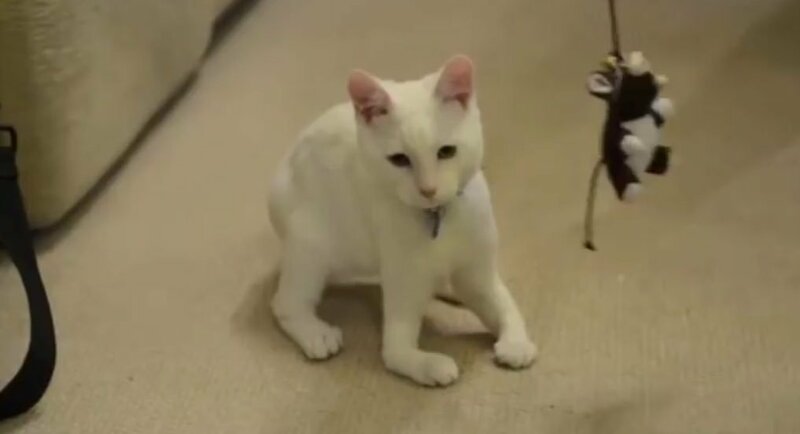 Harvey appears to be a perfectly normal, happy, and healthy feline, except for one thing: He was born without the radius and ulna bones, which connect his paws to his elbows in his front limbs. Despite the defect, the feline simply walks on his elbows (see video). When Harvey was 6 months old he had to undergo surgery to help fix the problem so he could live a normal life. I’ve been looking for updated videos of Harvey online but I can’t find them. If you know what happened to Harvey after his surgery please let us know.